Experiencing bloating and constipation can be not only debilitating, but also incredibly difficult to deal with during the summer. 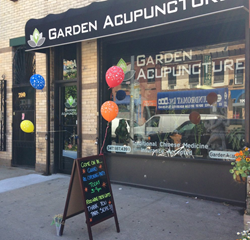 Garden Acupuncture now provides treatments to relieve constipation and bloating to make way for a healthy and happy summer. Garden Acupuncture can now provide treatments for this constipation 7 days a week, with individualized attention and care. Not only is constipation uncomfortable to deal with physically, it can also be uncomfortable to talk about. Garden Acupuncture has providers that are very understanding and discreet, making way for relief from constipation and its related symptoms. They also can now provide treatments for constipation 7 days a week, with individualized attention and care. Using acupuncture, herbs, nutritional counseling and lifestyle recommendations, underlying patterns are treated directly in addition to giving acute symptoms relief.